Check out the new PBIS Prize Wheel!! Check the pbis menu often! Having Positive ﻿B﻿ehavior In School is very important at Union Middle School. When staff members in the building recognize a student displaying positive behavior at school, they give the student a GOT-U. Students can also get GOT-Us from bus drivers and substitute teachers. These GOT-Us look slightly different than the 'regular' GOT-Us and they are each worth 2 points. Students keep their GOT-Us or 'bank' their GOT-Us with their PAL teacher. Students can purchase items with their GOT-Us. We have items for 1 GOT-U, 3 GOT-Us, 5 GOT-Us, 10 GOT-Us, 15 GOT-Us, and 20 GOT-Us. We have special items that are in the "PBIS Prize Case" and in the "PBIS Silent Auction Case" as well. Students can "pay" 1 GOT-U and put their name in the PBIS Drawing that happens twice a month. They can put their names into the drawing as many times as they would like. If you pay 10 GOT-Us, you can put your name into the drawing 10 times. Students can keep track of their Silent Auction items in the office. Continue to check your item, you can decide how much you would like to bid for different items. The bidding comes to a close at the end of the month. Every month, there are 2 Silent Auction items from the case. There is also a Silent Auction every month for "Gloede Goodies". If you have the winning bid, you need to talk to Mrs. Gloede about what you would like her to make for you. 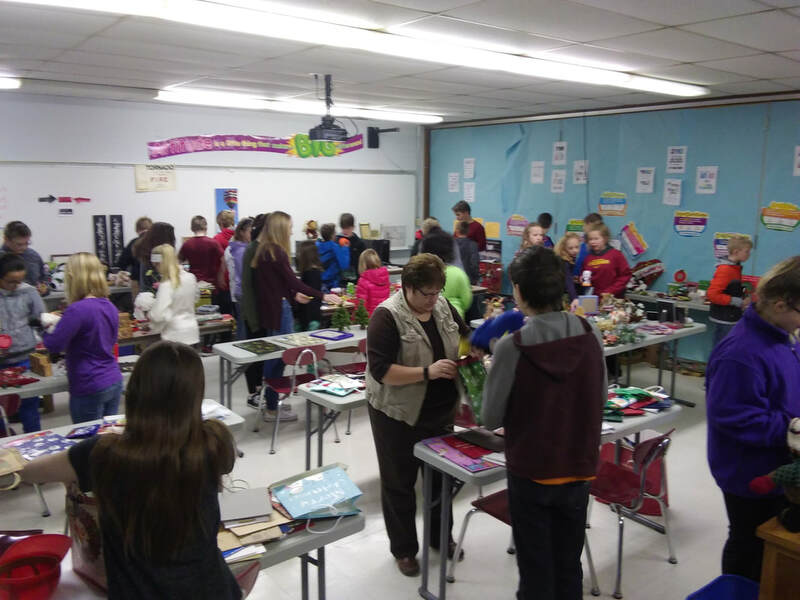 The PBIS Christmas Store is very busy!! !